← Brazilian Presidential Election: Unions Say The The Fight Goes On! 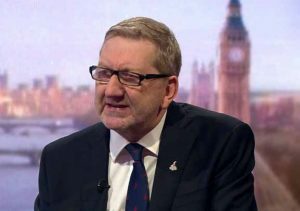 Unite the Union is calling on MPs to reject the Government’s Withdrawal Deal if it is put before Parliament. “Be in no doubt, limited in aim and vague in detail, this deal fails our tests. It is not in the interests of working people, it is only in the interest of Theresa May’s survival in front of a divided party. “Unite utterly opposes the false choice of a bad deal versus no deal. We have an alternative which would respect the 2016 referendum, offer permanent security for jobs and working rights, and command the support of a Parliamentary majority. “Rather than setting out a real vision for what the future EU-UK relationship should be, the Tory deal seeks to rush us out of the door with no agreement in place. The government are asking us to don the blindfold and take a leap of faith. That is unacceptable. Unite is calling on all MPs to oppose the Withdrawal Deal, which is in two parts. Fails to meet the red lines set by Unite, the Labour Party and the TUC. Fails to deliver a permanent customs union, vital for investment and job security. Fails to guarantee no hard border in Ireland on a permanent basis. Is a vague, non-binding declaration. It is not a framework for a future trade deal. This blindfold Brexit is a leap into the unknown. It prolongs the job-threatening uncertainty about the UK’s future relationship with Europe. The false choice of a harmful Tory deal and no deal is a political trap. If the Government cannot table a deal which meets the tests our movement has adopted a General Election becomes a real prospect. Having failed to negotiate both a withdrawal agreement and the framework for the future UK-EU trading relationship, this Government’s ‘deal’ only covers the divorce proceedings, namely the so-called £39 billion divorce bill, citizens’ rights, the Northern Irish backstop and the transitional period. A UK-wide backstop does not amount to the permanent customs union needed to defend thousands of jobs in industry and agriculture and prevent a hard border in Ireland. A backstop which may never be used and fails to match the offer made by Jeremy Corbyn in the Leader’s speech at Labour Conference to support a deal which includes a full customs union. Rather than a full framework setting out the terms to be implemented the deal will be accompanied by a non-binding political declaration. This is intended to buy May’s government time and defer the political decision about the future trade deal until after the UK has left the EU in March. The withdrawal agreement and political declaration, taken together as the ‘deal,’ provides no answer to the issues raised by the 2016 referendum. Secure a customs union with the European Union. Grant the immediate and guaranteed right to remainfor European citizens in the UK and their dependents and secure the rights of UK citizens working in other EU countries. This entry was posted in Employment Rights, European Trade Unions, International Trade Unions, Labour Party, Media, Politics, Solidarity, Trade Unions, Trades Union Congress, Unite The Union, Workers Uniting. Bookmark the permalink.